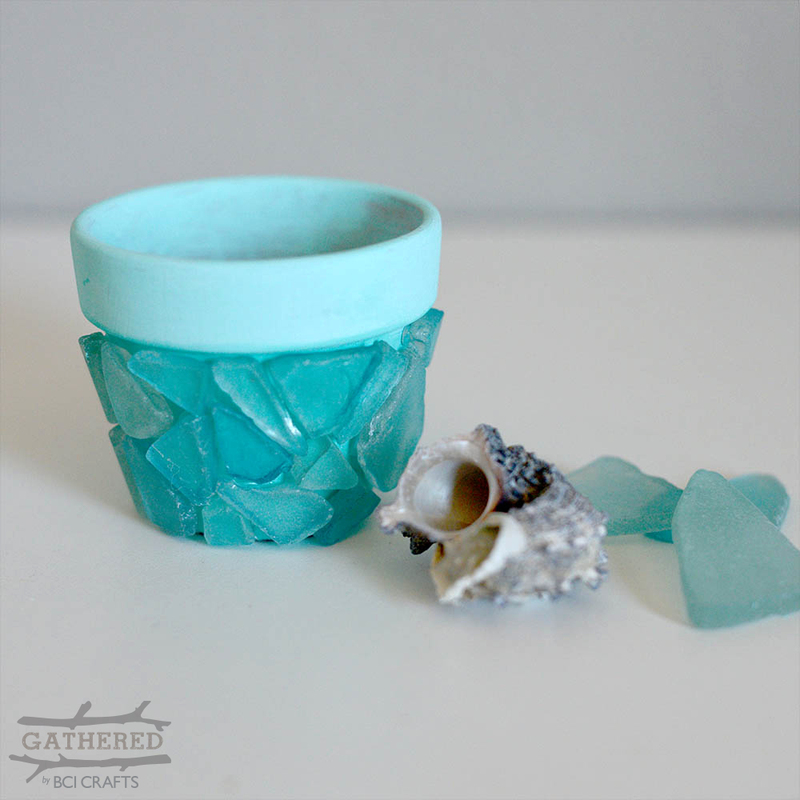 Terra cotta pots make the perfect canvas for Gathered Brand Coastal Collection items like rocks, sea shells and sea glass. 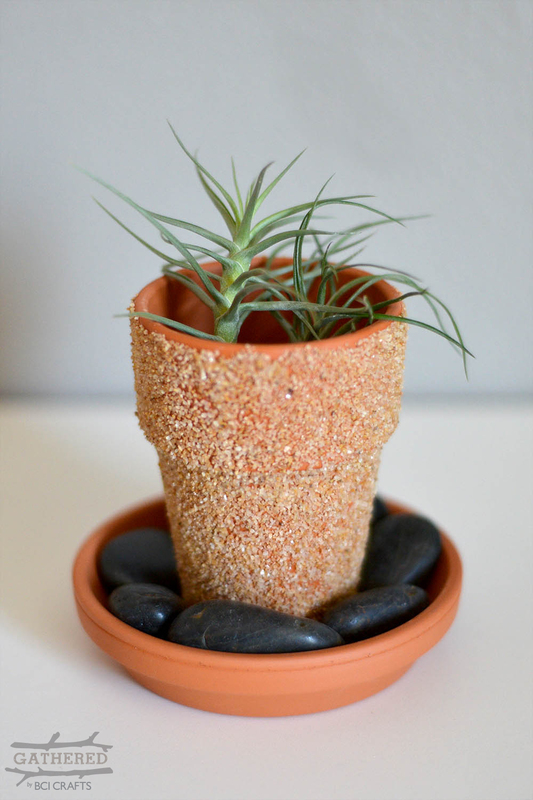 Terra Cotta Pots come in just about every size and can be found in a wide variety of craft and garden stores. Here is some inspiration to get you started on making your own! 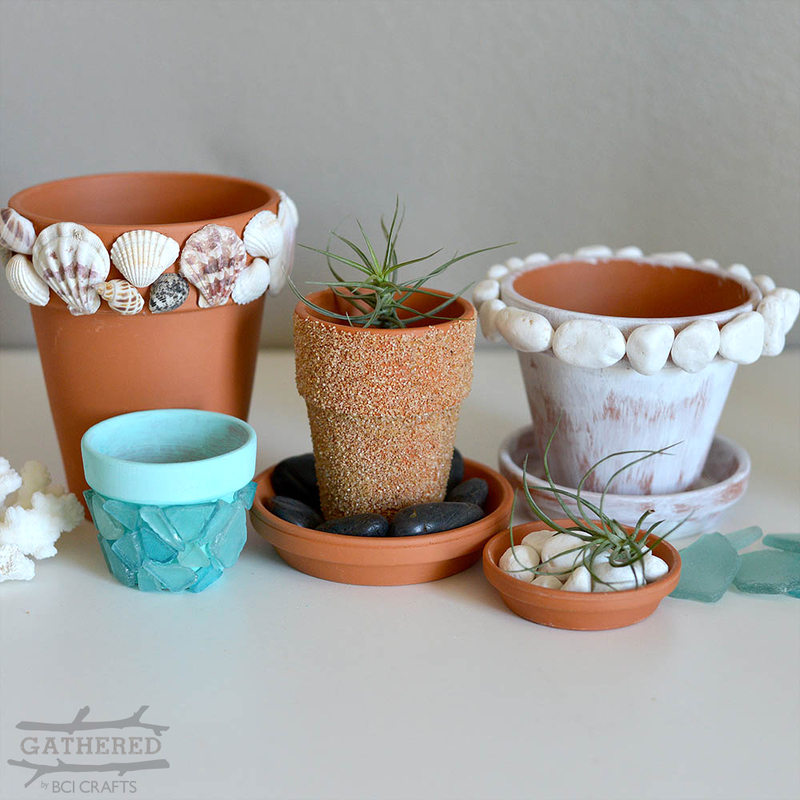 There are a couple different ways to use paint with terra cotta pots and the Coastal Collection. Painting them a solid color throws a fun twist on the classic shape. Alternatively, you could let the color show through and give it a vintage appearance (more on that below). Also try painting just the rim for a fun pop of color! 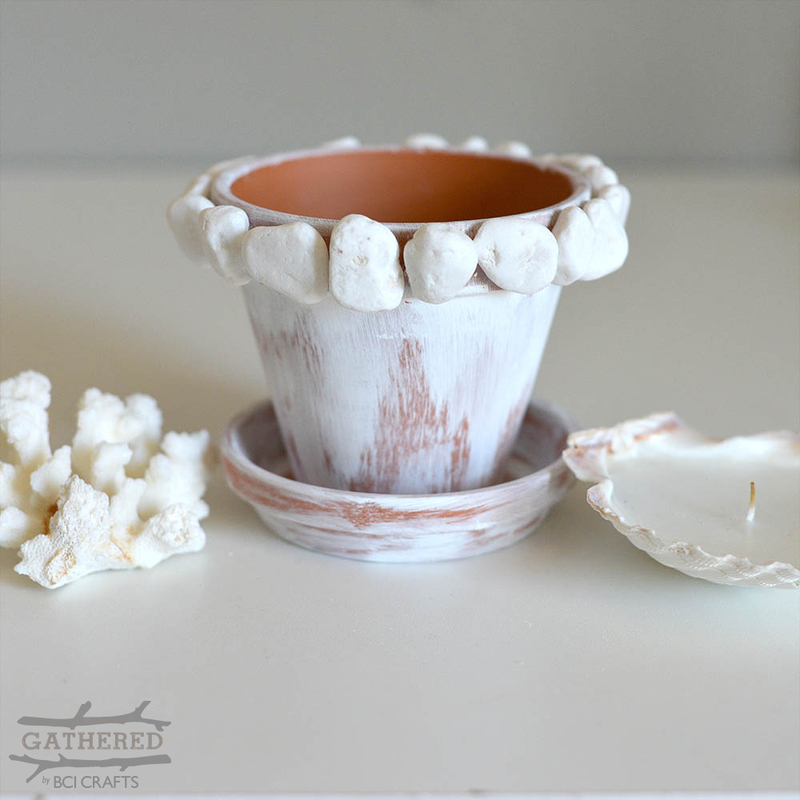 Use a dry brush technique to antique the pots before adding shells or rocks. 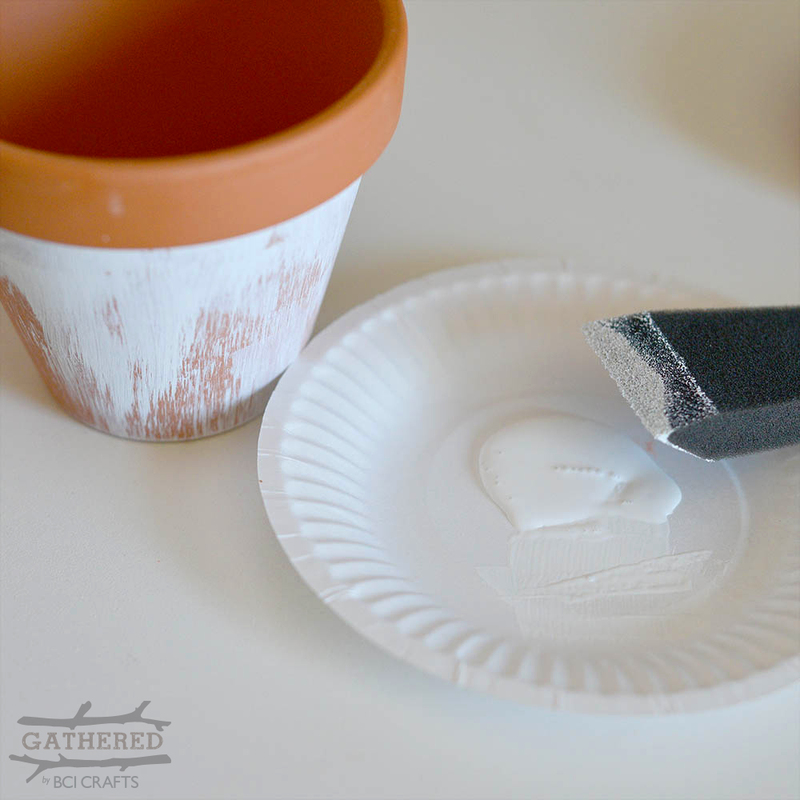 You can do this by brushing off most of the paint from the brush before applying to the pot. Another way to antique it is to paint most of it white and use sand paper to lightly scuff areas that would receive more wear and tear. Try using both to get the perfect antique look! 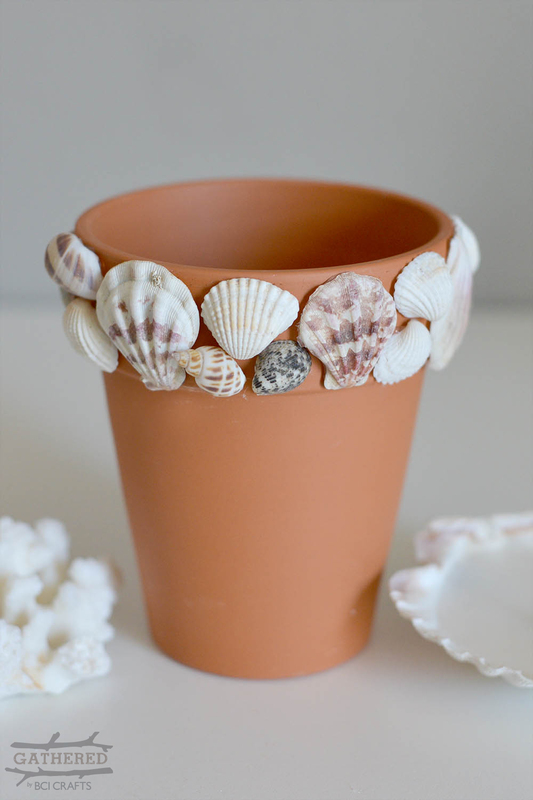 Shells and rocks look great glued to the pots! 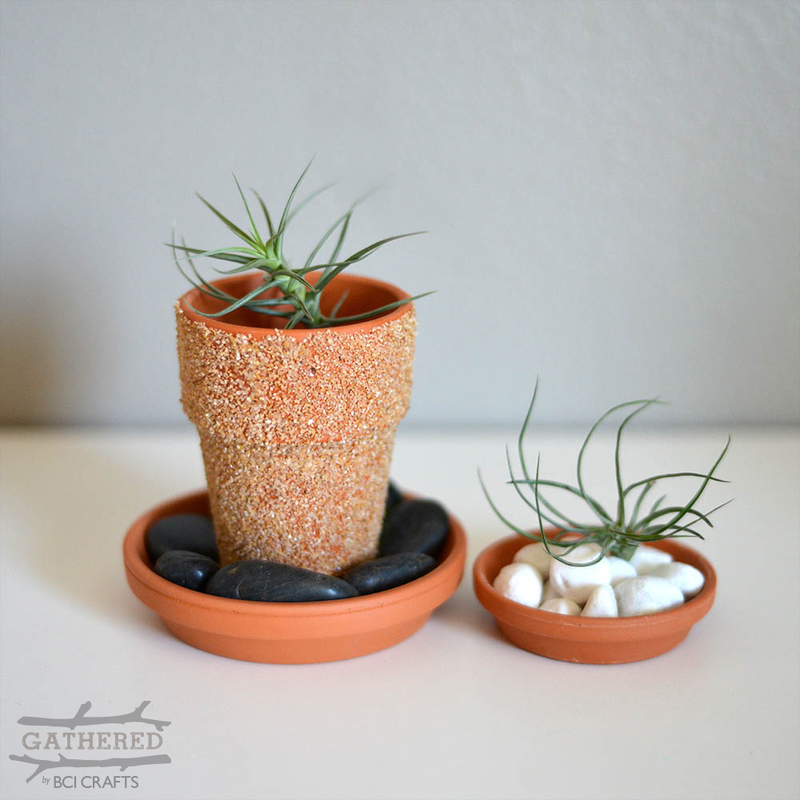 Rocks can be used in so many different ways... try mixing shapes and adding rocks in unexpected places like the saucers! 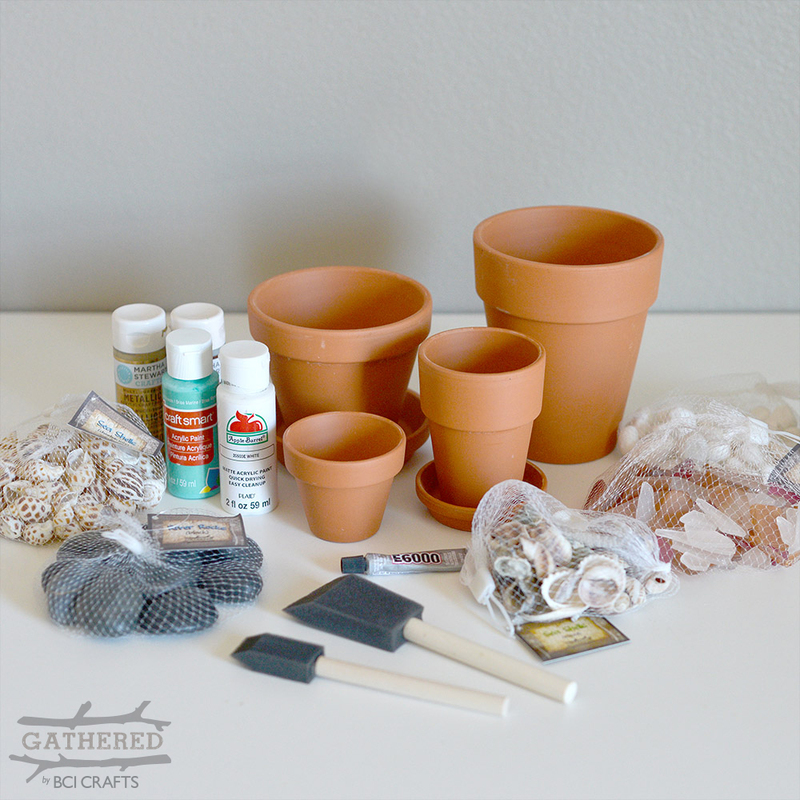 Use a paint brush to spread an even layer of craft glue on the pot, hold over a bag or trash bin, and gently sprinkle an even layer of sand over the area. Let dry and then give it one more gentle shake over the trash bin to get ride of any loose sand. Now go create some of your own! Have fun!